Fanta has been helped along her journey be receiving the School’s Olivia P. Maynard and S. Olof Karlstrom Fund for Community-Based Research. 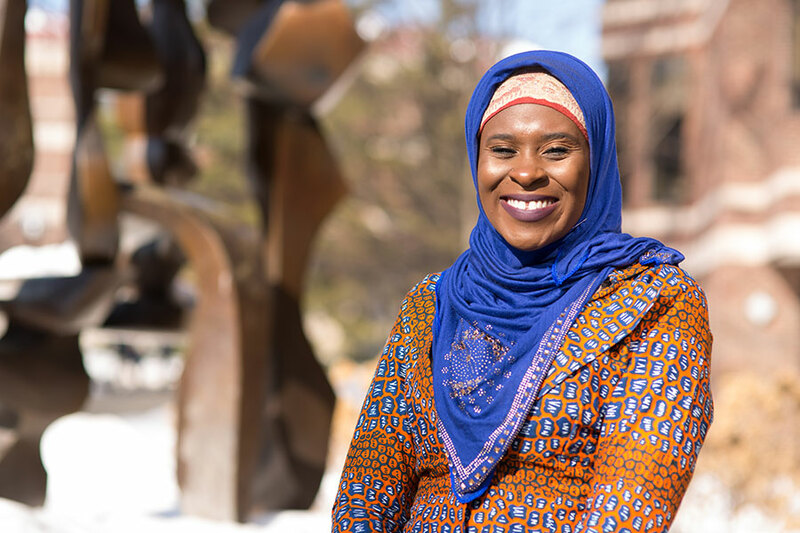 “The scholarship is powerful for me,” Fanta says, “because I lived through the Flint water crisis. Many Flint residents are traumatized. They find it hard to trust the system again. We’ve had physical and mental health issues, so the integrated health curriculum at the U-M School of Social Work is essential to my learning—looking at physical well-being and at the mental health aspect.” It shows me the importance of providing integrated health services in such communities. It can help the community become more comfortable seeking mental health services when it’s in a shared space with physical health. “The scholarship help I have received is connected to my identity and passion, so it feels like destiny. My scholarships are making it possible for me to prepare myself to effectively work towards a in building sustainable communities within the Flint and Detroit communities. I am forever grateful that we have such generous donors investing in my education and dreams.